Well here it is. Easy-to-follow guide that hunters can use to plan their hunting strategies for September 15th, 2018 thru January 15th, 2019. With 29 years’ worth of data and based on over 4000 daylight sightings of free ranging deer in Missouri. 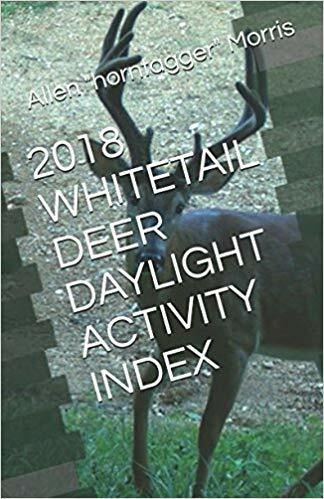 I have compiled this information into a Whitetail Daylight Deer Activity Index, this is the 18th year of providing this information to hunters. From 1999 to 2005, I published calendars and articles for magazines and websites. 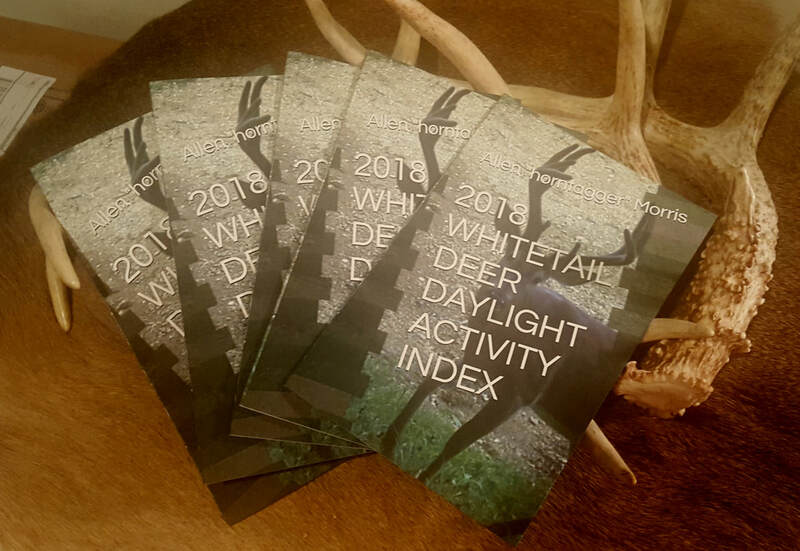 From 2006 to 2017, Whitetail Daylight Deer Activity Index was published by Bass Pro Shops in their King of Bucks Calendar. Available on Amazon ONLY: 2018 season come to end. I kept Journals of every whitetail I viewed hunting going back to 1989 to 1996 on family land. 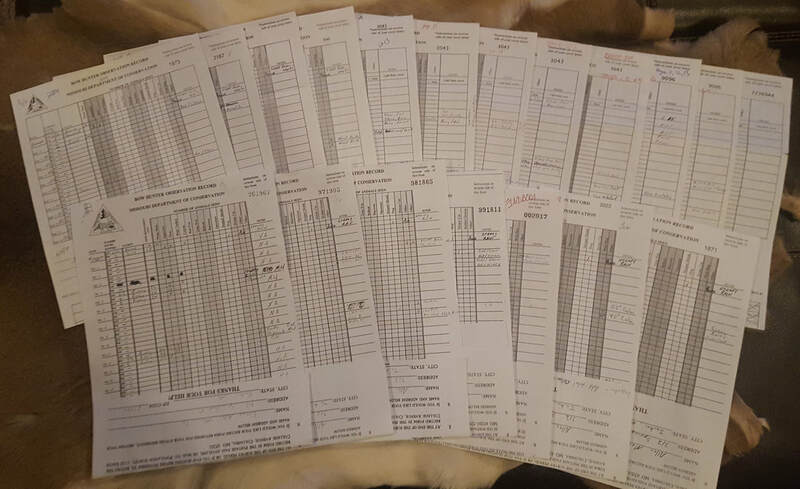 From 1996 to 2017 I have kept Bow Hunter Observation Records. 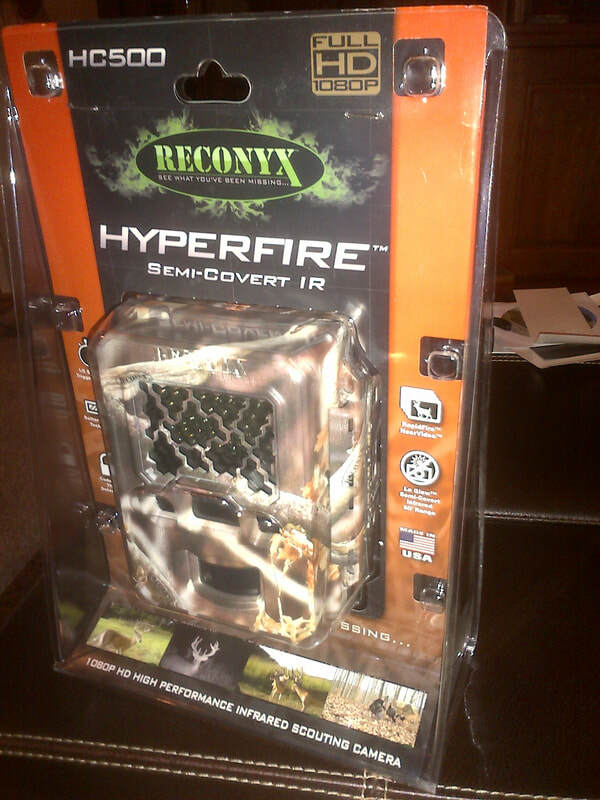 Big game changer was 1998 when I bought my first Game Camera - 35mm Camtrakker lasted 1998 to 2013 on two different farms. 1998 was big year also got a computer and both those became game changers on keeping records. 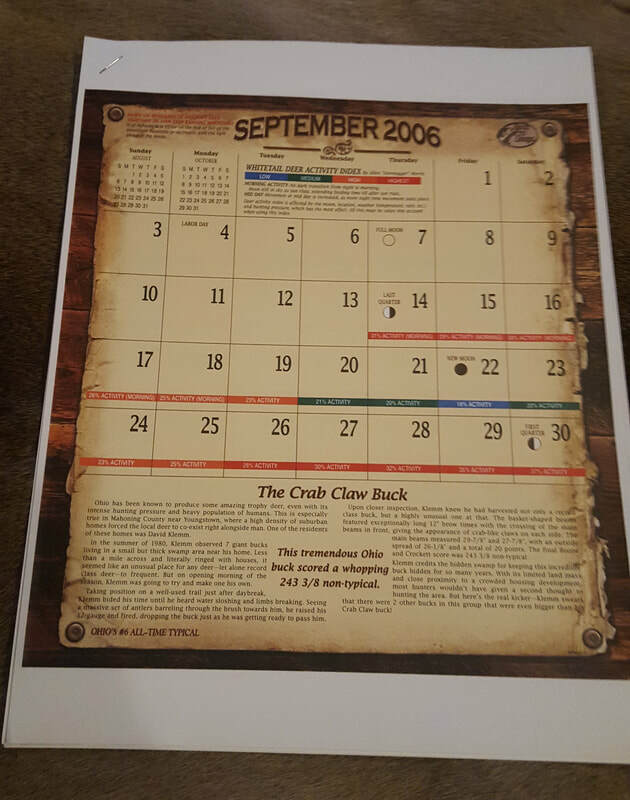 From 1999 to 2005 I published Calendars and Guides, made them as gifts for friends and sent them to Celebrity Hunters that I would interview on my Radio Show. Also would get request from hunters around the country for them. Started publishing Guides in my columns and for multiple different magazines also. Started working for Bass Pro Shops Corporate Office in 2005 and was asked by top TV Host to allow Bass Pro Shops to publish it. First Appearance in 2006 was online only. Continued each year after that with Bass Pro Shops until end of 2017 and contract finally ran out. 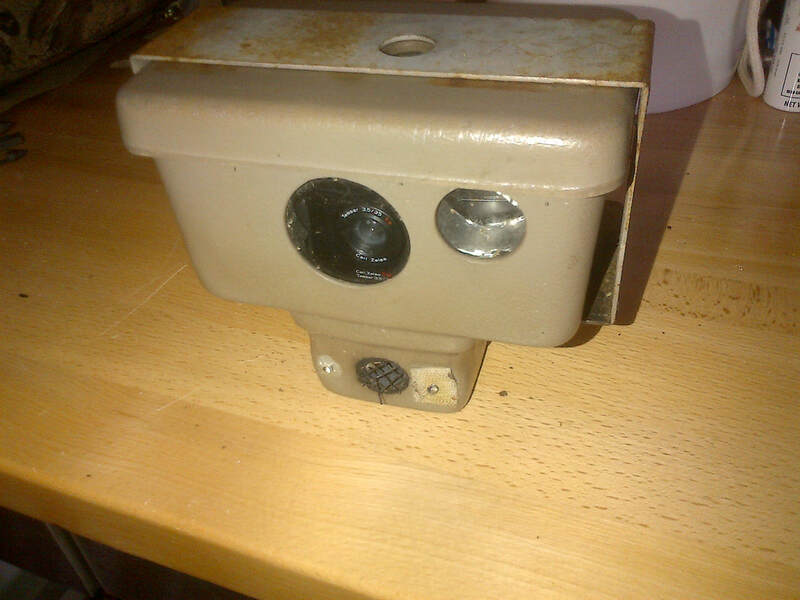 Game Cameras have come a long way since then. Bought property in spring of 2007. 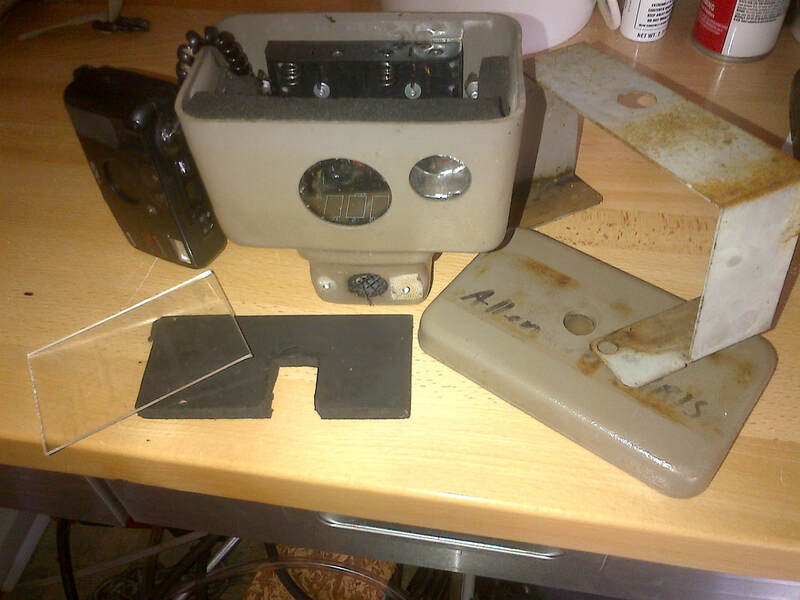 Part of the collection have been left out and can only be found in the book. I decided instead of hunters trying to find all this information I have collected over the years I would put it all together in one nice package. ​Decline and Increase of Hormones are in book. Texas Tech University biologist Steve Demarais and Whitetail management consultant Bob Zaiglin radio-collared 25 trophy bucks and monitored them from 1984 through 1987 in South Texas. The pair's extensive background enabled them to interpret and express their data in hunter-friendly terms, first published in the September 1991 issue of Buckmaster. 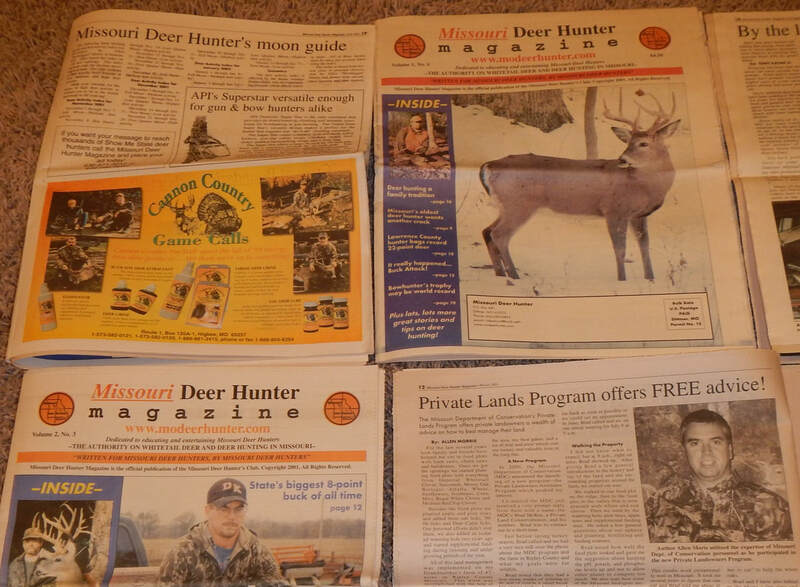 I started keeping records in 1987 but did not have enough detailed information and the resources to keep better records till about 1996 and in 1998 I also bought a Camtrakker to help me study the Whitetail better. Taking each year by itself the following numbers have come to be what I live by. Another great book is Hunting Whitetails by the Moon by Charles J. Alsheimer. By the way if you don't do anything else get this book. I don't agree with everything in it, but it still a very interesting read. Typically we deer hunter's believe we know a lot about the Whitetail and for good reason. 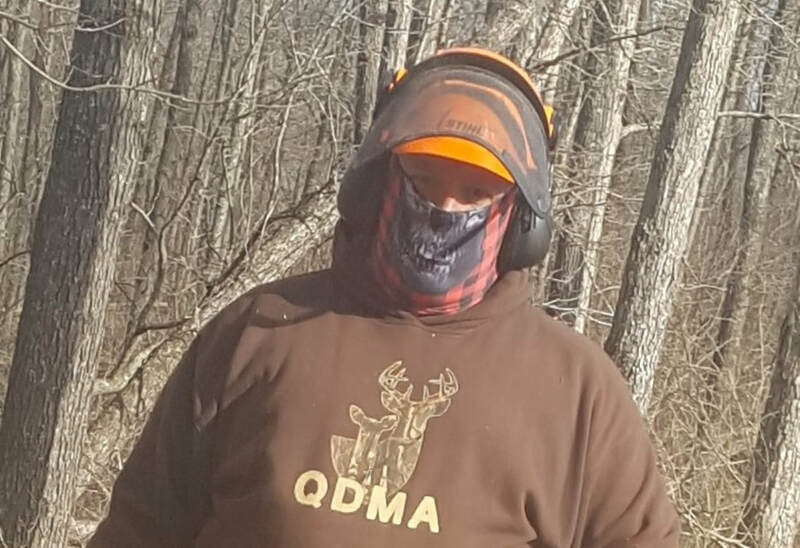 The person that knows the Whitetail most typically spends more time pursuing them year round. I believe most of us would agree with this. So you would have to agree that the American Indian would know more about the Whitetail than anyone. Since the Whitetail Deer were harvested first and foremost for food, clothing, by the American Indian. The American Indian gives special names to the full moons in each month. These are examples of the ones that deal with the Whitetail Deer. September Moon = Moon when deer paw the earth. I believe the American Indian new more about when deer movement took place and tied it in with what was always there clock "The Moon" because their lives depended on it. First Predators (Coyote/Bobcat) hunting whitetails. Do you think when the moon is full coyotes and other predators are on the move more at night? Since I started scoring deer I have records to use as a reference and comparison on the date harvest. With the help from ARCHERY BIG BUCKS OF MISSOURI OFFICIAL RECORDS. 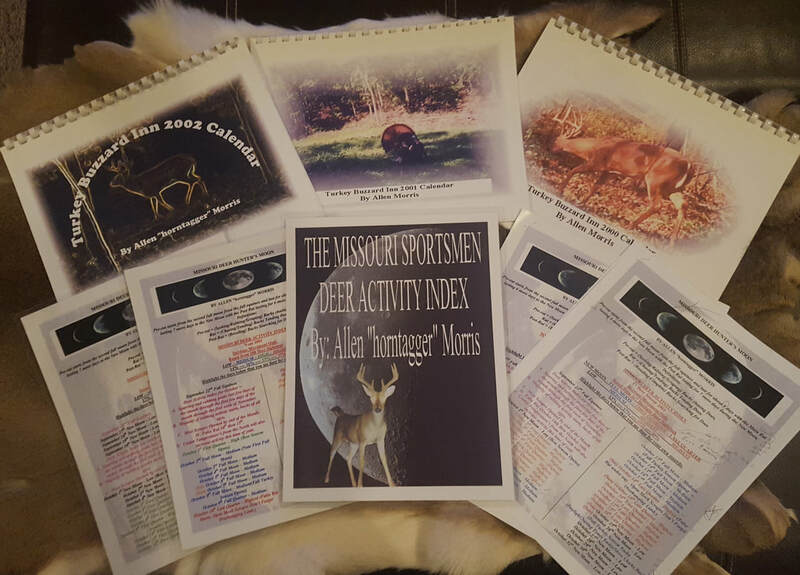 (Also a special thanks to Archery Big Bucks of Missouri Club and Claudette Roper Recording Secretary for providing me with these records.) 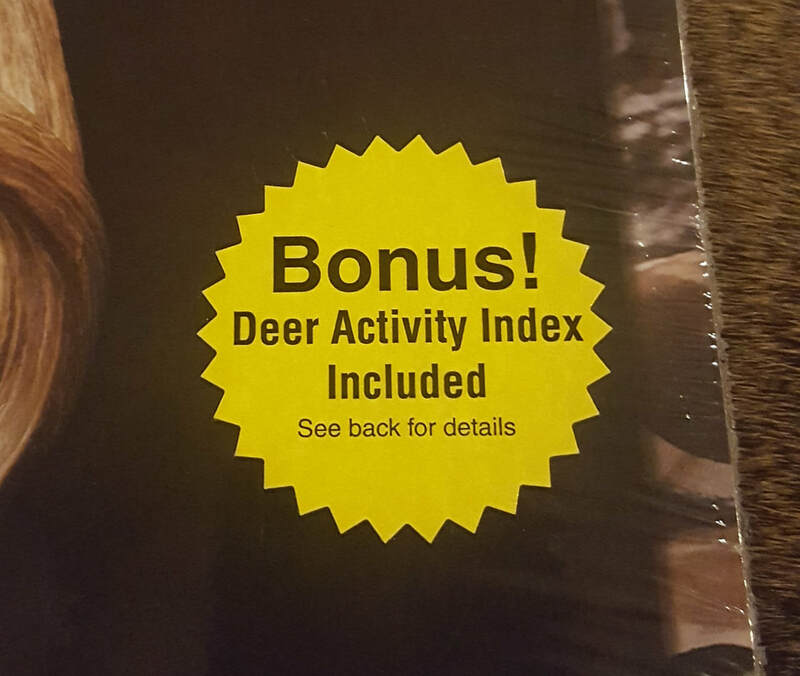 I have results on Record Book Whitetail Deer taken with a bow in Missouri. 620 record book whitetails taken with a bow from 1990 thru 2000. Since hunting pressure is less during Bow season it made for a great comparison of numbers. 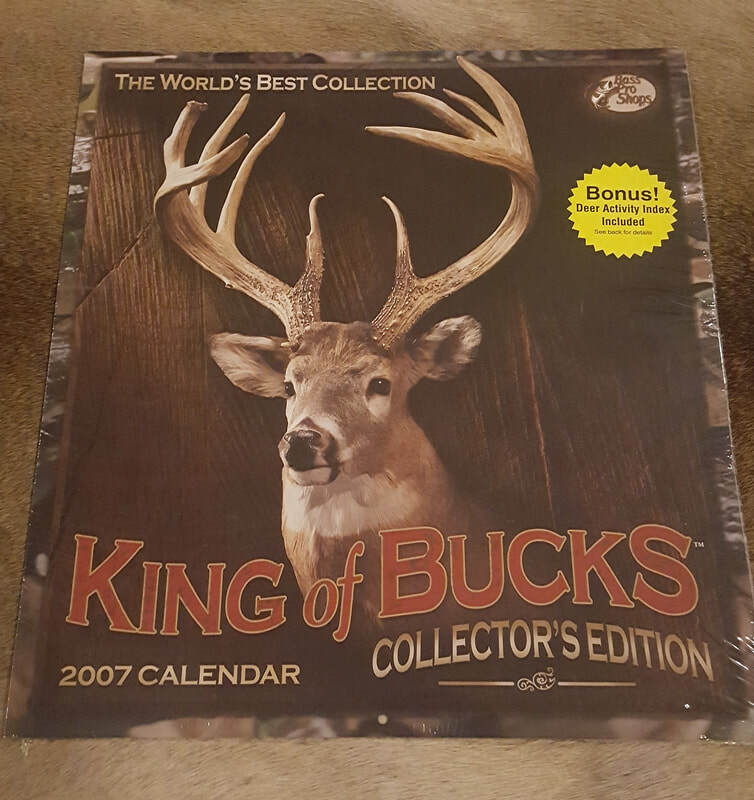 With the help from MISSOURI SHOW-ME BIG BUCKS OFFICIAL RECORDS. 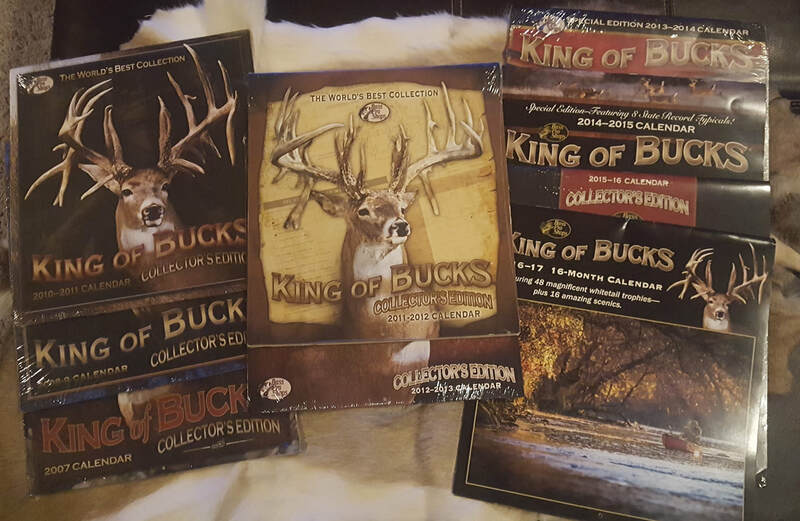 (Also a special thanks to Missouri Show-Me Big Bucks Club and Dale H. Ream Jr. Director of Records for providing me with these records.) I have results on Record Book Whitetail Deer taken with a bow and mainly rifle in Missouri. 1915 record book whitetails taken with a bow and mainly rifle from 1990 thru 1999.